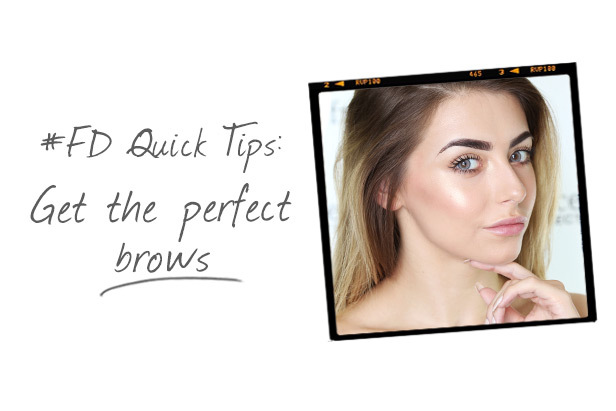 Over the past few years brows have become more important than ever before, to the point that most of us have developed our own little routine for our brows alone. Want full, flawless brows? Here’s how to do it yourself with just a few products. First, coat the brows and add volume by brushing through a tinted brow gel (such as the Bourjois Instant Brow Mascara). Brush upwards and smooth across for a natural look. Next, outline the brows with a pencil (Steph loves the Yurily Waterproof Brow Pencil). Extend the tail of the brow, fill in the arch and then lightly line underneath and on top of the front of the brow. Now it’s time to fill in the brows using the Billion Dollar Brows Mad About Brows Palette. This palette contains a mix of colours so you can create your perfect shade, and it also comes with a handy brush and spoolie. Brush the powder through the hairs to soften the look. Brush through the product using a spoolie. This will help blend all of the products together to create a more natural finish.